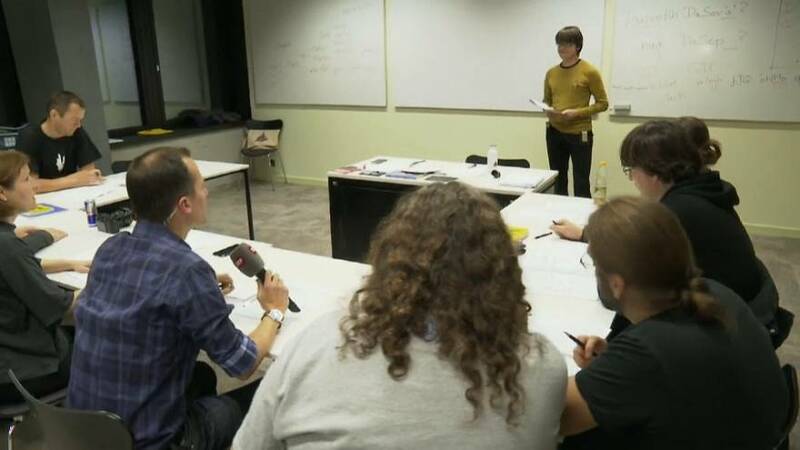 A language school in Switzerland has begun teaching Klingon, a fictional language, sketched out in the 1960 for the bad guys in TV series Star Trek. “I’m a big Star Trek fan. I like artificial languages. I’m working as a speech therapist. Therefore, I find it interesting to put myself in a student’s position who can’t understand a thing. But principally, it is fun,” said one eager student. From the series’ inception fans have taken Klingon and developed and codified it to the point where it has a grammar and lexicography. It has a life of its own, even if it is not much practised anwhere. “In the beginning, I found the grammar very exotic and I thought, wow, how is this possible? Later, I realized that other languages in China, the Caucasus or South America, all the indigenous languages have also an exotic grammar. Thanks to Klingon and some other languages I discovered linguistics and linguistic sciences,” said Klingon instructor Andre Mueller. The Star Trek reboot currently running on TV features more Klingon than any other iteration of the franchise, so if nothing else it may help viewers. Which European country has the best young readers?